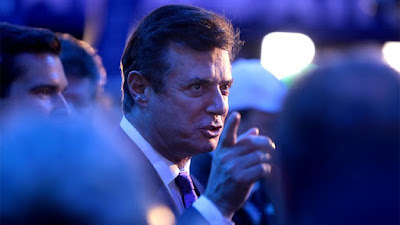 WASHINGTON, DC -- Then-Trump campaign chair Paul Manafort met with a Ukrainian business associate who previously served in the Russian army last August, as speculation rose about Russian meddling in the U.S. presidential campaign, the Washington Post reports. Manafort and Konstantin Kilimnik met in a New York City cigar bar and discussed issues including the conflict in Ukraine and unpaid bills from clients, according to a statement from Kilimnik to the Post through Manafort’s attorney. The statement also says the dinner was the second of two meetings he had with Manafort while Manafort was working for Trump's campaign. Kilimnik says the first meeting occurred two weeks before Manafort was tapped to be campaign chair, while the second meeting occurred two weeks before Manafort resigned amid allegations he had received suspicious payments for his work in Ukraine. Kilimnik, who reportedly helped run the Ukraine office for Manafort’s consulting practice for 10 years, is of interest to the Senate Intelligence Committee, a source told the publication. Manafort regularly worked in Ukraine with groups supportive of Russia. The committee is investigating the Trump campaign’s alleged ties to Russian election interference.